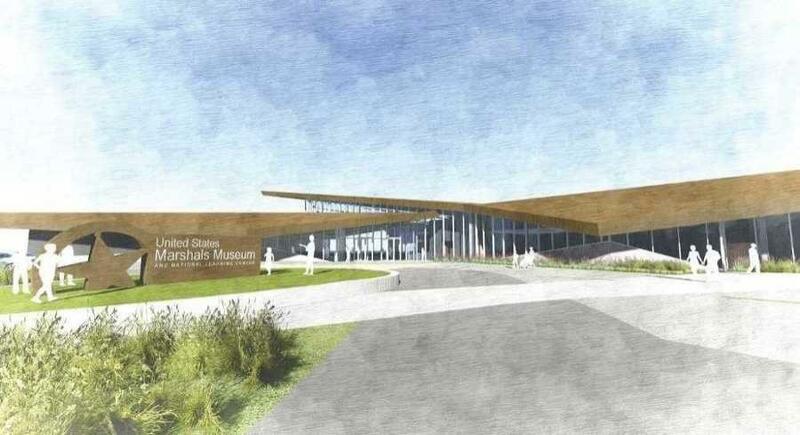 Construction is expected to begin this spring, and the museum will likely open in September 2019. State leaders recently took a virtual tour of the planned U.S. Marshals Museum at Fort Smith, Ark. Arkansas Gov. Asa Hutchinson, Attorney General Leslie Rutledge and other state officials donned virtual reality goggles to take a closer look at the new building that will soon hold the new national museum, 40/29 News reported. "It's immersive, it's an experience, it allows people to see the enormity of the building," museum President and CEO Patrick Weeks said of the virtual reality tours. "When you stand out on the site, especially now the building pad is out there, and to put the goggles on and be able to look up and down and see what it will be like on the site. Its powerful." Construction is expected to begin this spring, and the museum will likely open in September 2019. The structure is being funded through donations and fundraising, 40/29 News reported.